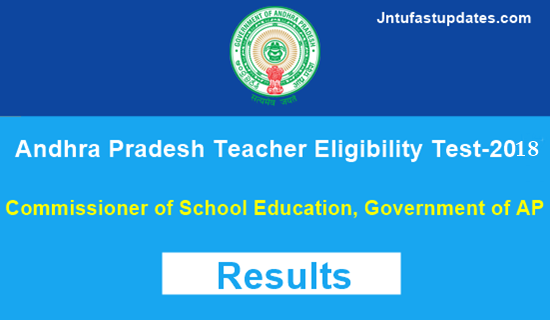 APTET 2018 Results For Paper 1, 2A, 2B: The Commissioner of School Education Andhra Pradesh (CSE AP) has successfully conducted the Andhra Pradesh Teacher Eligibility Test (AP TET-2018) examination in 13 districts of AP state and other states too. 3,70,576 Lakh of aspirants wishing to become teachers have appeared for the AP TET examination 2018 during the conducted schedule in the month of june. This year hugely, 397957 aspirants have applied for AP TET examination. In which, 370576 aspirants have appeared for the examination. Nearly 93% of aspirants have appeared for the AP TET examination this year. Comparative to the last years, this year the number of applicants and the appeared candidates number was tremendously increased. Commissioner of Secondary Education Andhra Pradesh has successfully conducted the Andhra Pradesh Teacher Eligibility Test (APTET-2018) examination From June 10th to June 19th 2018 in various examination centers. The Andhra Pradesh TET examination has been conducted for Paper 1, Paper 2A and Paper 2B. APTET held at several examination centers across the Andhra Pradesh. A huge number of hopefuls have attempted APTET Paper I, II in session 1 and 2. Also, few of the aspirants have attempted both the papers. Candidates aspiring to become a primary and secondary school teacher in the state of Andhra Pradesh have given the test. Also, the Commissioner of School Education Andhra Pradesh has released the APTET Final answer key 2018 after the examination completed. Candidates attempted the examination have estimated their probable score and waiting for APTET Result 2018. The AP Education Commissioner has recently announced that the TET exam results will be available on july 2nd in its official website aptet.apcfss.in. The APTET result will be announced on 30th june for all papers. Candidates can go through the article to check details about APTET cutoff marks, merit list, and other information. Recently CSE AP has issued an official notification for DSC Teacher posts for Primary and Secondary Teacher positions. Candidates need to qualify in TET examination to get the job as a primary and secondary school teacher in the state of Andhra Pradesh. The aspirants applied for Andhra Pradesh TET examination has appeared for the examination in allotted examination centers. APTET Paper 1 has been conducted in morning session and APTET Paper 2 has been conducted in afternoon session. Aspirants appeared for the APTET results 2018 can wait until the result date is announced by the CSE AP. Tentatively, the APTET result 2018 for Paper 1, and Paper 2 are to be release on 30th June 2018. Candidates can keep checking the APTET official website, aptet.apcfss.in. The Teacher Eligibility Test (TET) has been conducted in 2 sessions from 10th to 19th june 2018. In this year 2B Paper was introduced, the following no. of candidates attended to the examination. As such it was decided by the Committee there is only 0.60 percentage has been occurred as change. At last the additional marks will be allotted to the candidates, If they Login & if they could not display any relevant answer, due to any technical problems, it will be considered after obtaining the comprehensive report from the APCFSS. You can download APTET Result 2018 for Paper 1, Paper 2A & Paper 2B along with the rank, and score obtained in the examination. Sir tet lo qualify ki 12 marks DSC lo add chastunnapudu.TET lo 01 marks nunchi andariki DSC lo avakasem ivvavachu kada. Sir T.E.T pass avvinavariki D.S.C. Lo pass avvali D.S.C lo job rani variki .maro job radu..T.E.T pass avvina varini matrame private school or private jobs evvandi please..
Naku DSC rayadam chala avasaram.